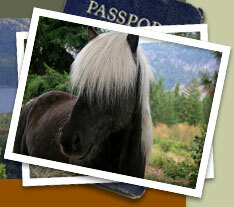 Visit beautiful British Columbia, stay in a cozy log cabin and explore the wilderness by Icelandic horse. Situated on 300 acres and bordering Provincial Crown land, Icelandic Horse World offers riding treks on numerous trails of the spectacular surrounding countryside. Our guests discover breathtaking views and a rich wildlife habitat on horseback. Please visit www.facebook.com/groups/FireAndIceTours for details, or contact Sherise at info@fireandicetours.com and she can send you an itinerary!